The dyepots are up and running again! I had naively thought January would be a semi-vacation, but I've been unexpectedly busy. Most of these skeins will soon be making their way to California to their new home at Yarn del Sol. I wish I could deliver this yarn in person! I'm also busily prepping for a rather full schedule! I already have lots of events and classes planned through June. 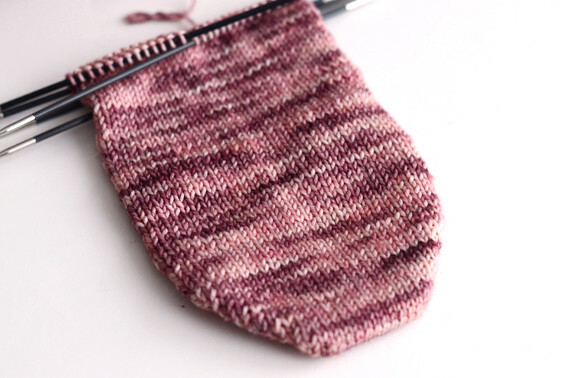 My first class of the year is toe-up socks, which started last week. My students are a wonderful group of ladies, I'm having so much fun! And it gives me an excuse to knit myself a new pair of socks, yay! I always try to have a "fun" project in addition to my "work knitting" - even though this week's work knitting is sort of cheating since I get to keep the socks. 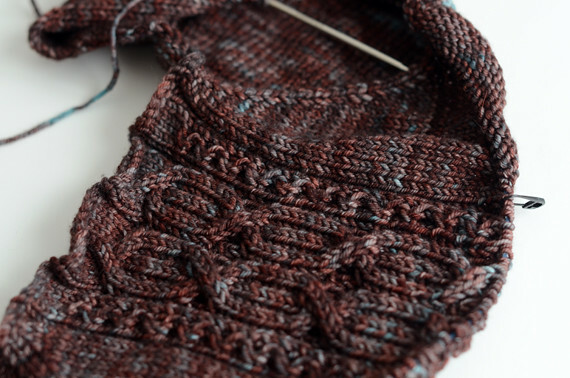 I'd been eyeing this cardigan pattern since I first saw a sample knitted up over a year ago. I bought the pattern last June, and waited for the right yarn. Now I can't wait to finish it and wear it! 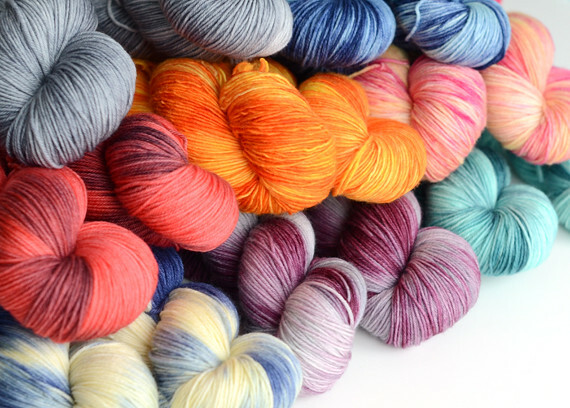 I always get surprised comments and questions from people when they notice I buy yarn from other dyers, and I wonder how many dyers only knit with their own yarn. Personally, I very much enjoy the work of others, and I believe in supporting other small businesses. If you have your own creative business, do you ever buy the work of other artists/artisans in your field/media? I'm curious!